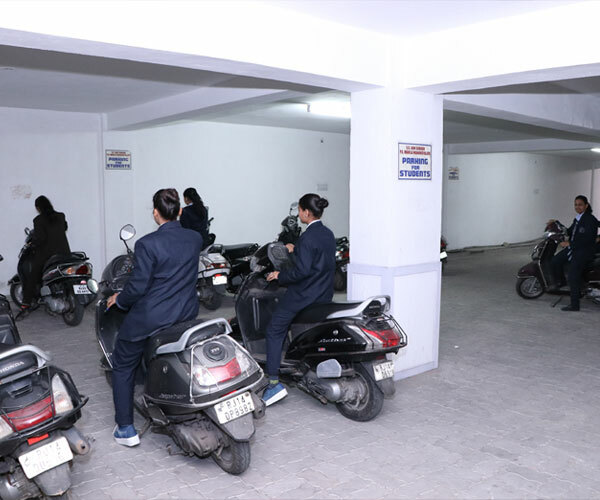 The college has ample underground parking space where students can safely park their two wheelers. however, they are not allowed to bring four wheelers in the campus. It is also not permitted to park vehicles on the road outside the college premises.